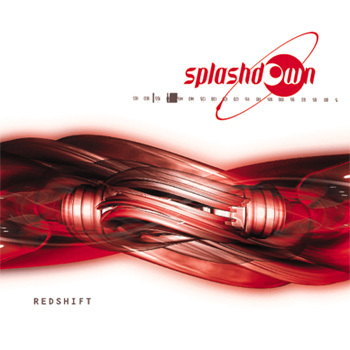 Blueshift was to be the first major record release by the band, and as such it has the newest songs, and a high caliber studio quality sound that makes it stand out. Although it was never made available, (the record label shelved it in perhaps the dumbest move made by record exec) bootleg versions of the album with its full quality have become available. 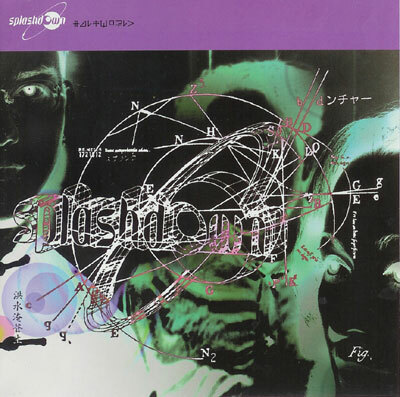 Half of the songs on Blueshift were released in older albums, but the versions of those songs on Blueshift stand out in both polish and technical skill. The album begins with the quick beats and high melodic singing of "A Charming Spell," a song once featured on an episode of the TV show Charmed. Things slow down with the low and simple singing of "Presumed Lost." Track three speeds things back up with the pop-inducing innocence of "Sugar High," a song that has been remixed more times than perhaps any other since. (Heh.) "Down below the everyday, something has been aroused. Go far beyond and over me. Don't wait till the fire dies down," preaches Melissa in "All Things" as she takes on the misconceptions of every day life. Mayan Pilot's enigmatic lyrics are soothingly sung over a relaxing mix of soft drum beats and a rich sounding strum of the guitar. "The Archer" has a distinctly middle-eastern sound woven throughout it, while the lyrics take on a matter wholly (or not so?) different from an earlier vintage song, "Pandora," from which it borrows a verse to be used in a brilliantly opposite manner. "Elvis Sunday" is a morose reflection of the effects of uprooting from one's home. "Ironspy" is a surprisingly strong blast of anger over an equally angry background. "Games you Play" is a remake of the vintage Splashdown song "Paradox" with a different emphasis in vocals than the original. Despite being only two verse's long, "Dig" is a must hear, with powerful poetics, and crazy work on the music that leads right into the next track, "Waterbead," seamlessly. "Waterbead" is perhaps Splashdown's most clever song, showcasing all three member's various skills with lyrics that challenge you to look at relationships in a new way, atmospheric beats and programming, and a powerful guitar riff in the middle. "Procreation Chick" has an ironically lighthearted sound, while the lyrics are amusingly scornful of a certain stereotype. The CD winds down with "Lost Frontier," which is discussed on Adam Buhler's website, followed by the title track of another album, Halfworld. The last two songs, "I Understans" and "Over the Wall" are the most mellow, but also filled with powerful lyrics. 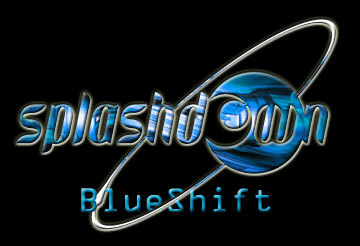 Redshift was supposed to be Blueshift. But instead of releasing the full album, the record company almost dropped the project entirely. As a compromise, the 5-song Redshift EP was released. Critically acclaimed and a rare find, Redshift features earlier versions of A Charming Spell, The Archer, Mayan Pilot, Waterbead, and Ironspy. Whether there is any symbolism in a "Redshift" as opposed to a "Blueshift" being released, (redshifting is a phenomenon created by something rushing away from you, as opposed a blueshift, where something is coming towards you) remains open for discussion. What can I say? I own Halfworld and I like it. 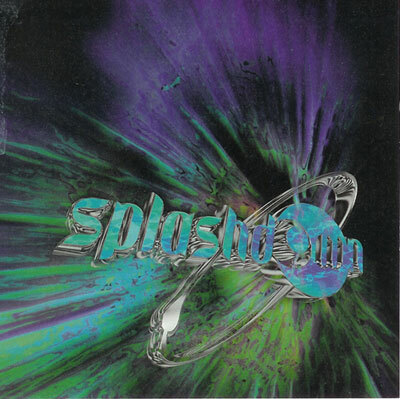 Halfworld was the last independantly released EP by Splashdown (under Castle Von Buhler records) before they signed on with Java/Capitol Records. (And we all know how that turned out.) Halfworld features Ironspy, a much slower version of Sugar High, the title track Halfworld, Over the Wall, and Beguiled Mark II. Stars And Garters is an excellent 9-track CD, the first album released by Splashdown, which includes a slew of material unique from the rest, with Thunder, Pandora, Paradox (The only song to be fully revisited, known later as Games you Play), the Eden referenced Beguiled, the ever famous screamings of "So HA" as well as "Need Vs. Want," their first written song of "Deserter," and the atmospheric chanting of "Running with Scissors." Stars and Garters set the stage for Splashdown, establishing their reputation for creating unique sounds and having especially meaningful lyrical accompanyment.